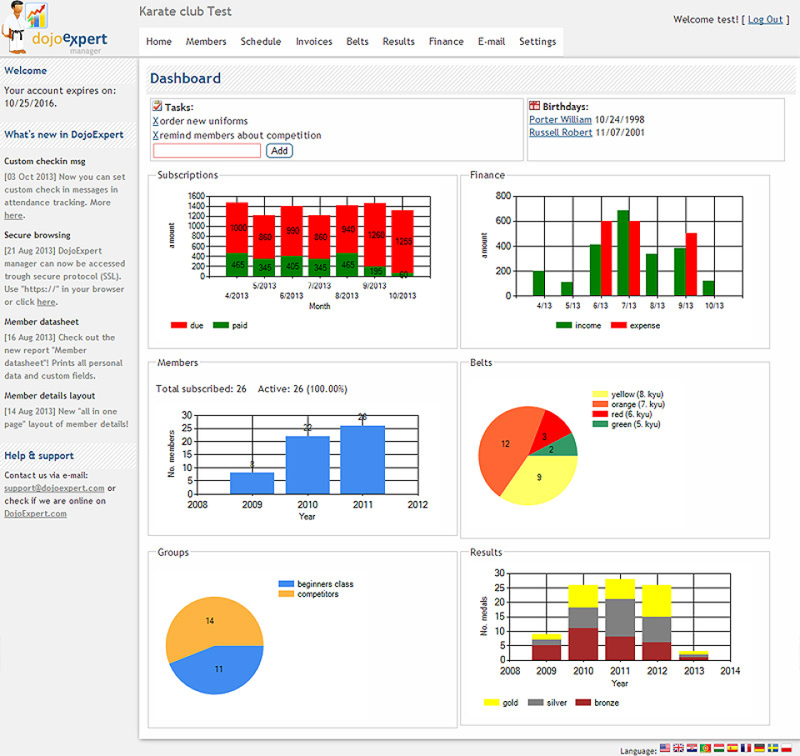 DojoExpert targets martial arts schools, but can also be used in dance schools, fitness centers or any other organization that needs members management. Full of features at fair price! 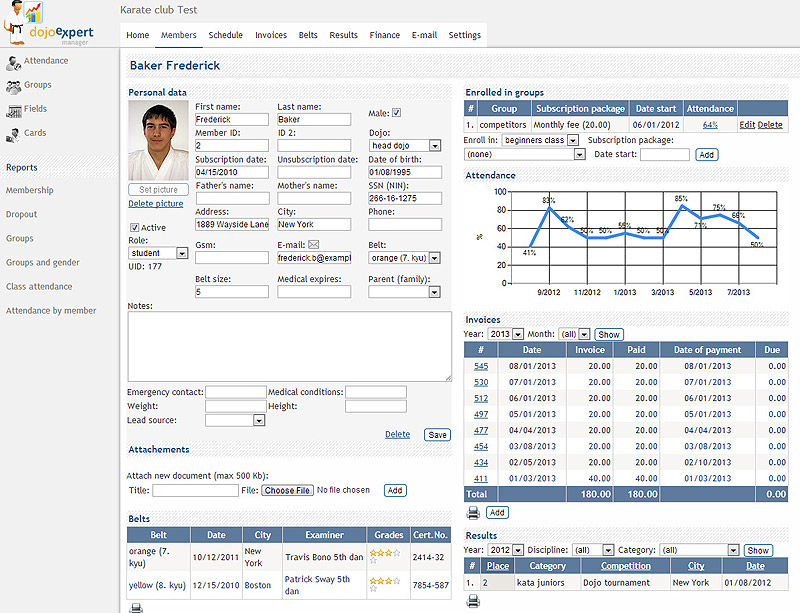 Software for martial arts or any other fitness related business! 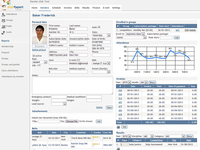 Top features: Members management, payments, belts and exams, inventory tracking with webshop, attendance tracking with QR codes or PIN self-checkin, leads management, and much more! Student login app: students can checkin and check their data! Try it out for free, no obligations, no credit card needed! Dojo Expert Reviews Recently Reviewed! Comments: I have tried a few of the other member management systems but this one has been the best one for me. Not only does it already have most of the features i need to manage my full time venues, but the support is also great. - The software is quite simple to use but they could do with a more comprehensive manual to help when you need more detail. When you compare what you get form the other software providers for the price you pay you will understand why i am banging on about the value for money thing. Cons: Documentation of features could use some improvements but this is evolving over time. 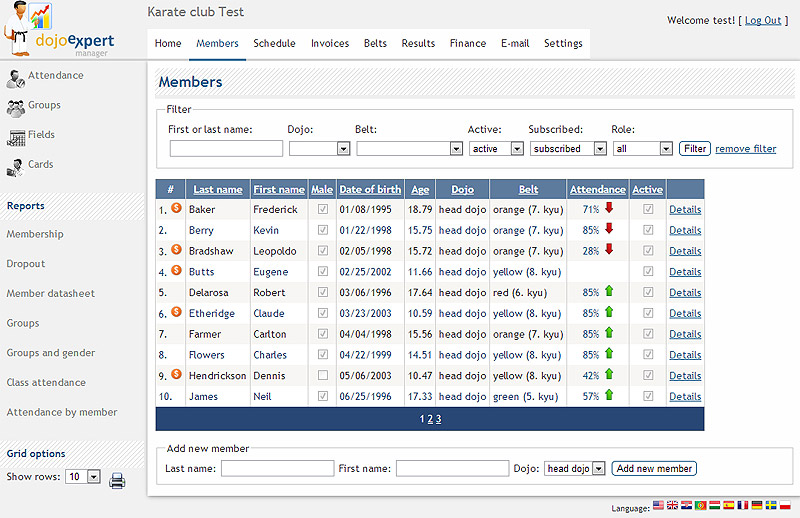 This is a great piece of dojo management software. Pros: Screen layout is simple and un-cluttered. 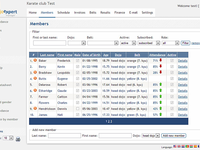 Each feature has been well designed to capture the needs of most karate dojo's. Cons: The accounting side of invoicing and receipting needs a bit of work and I had to experiment a bit, but got the hang of it eventually. 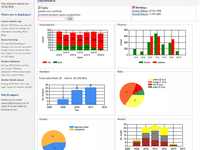 Overall: It showed me that good martial arts software at a reasonable price is out there.